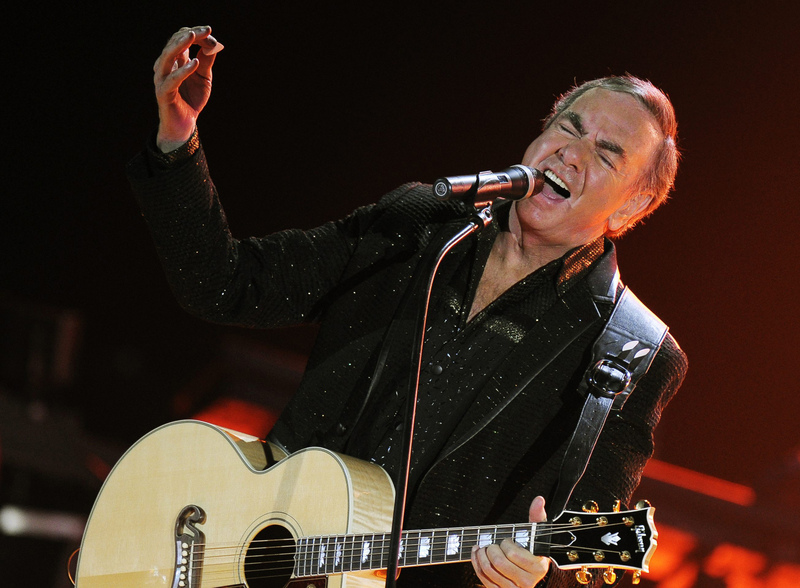 NEW YORK -- Neil Diamond is retiring from touring after he says he was diagnosed with Parkinson's disease. Days shy of his 77th birthday, the rock legend is canceling his tour dates in Australia and New Zealand for March. He was on his 50th anniversary tour. According to a press release issued by the Rock and Roll Hall of Famer's team, Diamond will continue to write, record and pursue new projects. "The onset of the disease has made it difficult to travel and perform on a large scale basis," a spokesperson said in part, according to CBS Los Angeles. "Based on his doctors' advice, the third leg of Diamond's 50th Anniversary tour, set to land in Australia and New Zealand this March, has been cancelled." Diamond said it was with "great reluctance and disappointment" he made the announcement, adding that he planned to "remain active in writing, recording and other projects for a long time to come." "I have been so honored to bring my shows to the public for the past 50 years," he continued. "My sincerest apologies to everyone who purchased tickets and were planning to come to the upcoming shows." "My thanks goes out to my loyal and devoted audiences around the world," he said. "You will always have my appreciation for your support and encouragement. This ride has been 'so good, so good, so good' thanks to you." Diamond's numerous hits include "Sweet Caroline," ''America," ''Love on the Rocks" and "Hello Again." Diamond turns 77 on Wednesday and will get the lifetime achievement award at Sunday's Grammy awards.